Which probe should you use? Your probe of choice is going to be the linear probe. You can do a one or two person technique, but a study by Rose et al 1 showed no difference in overall success or time. 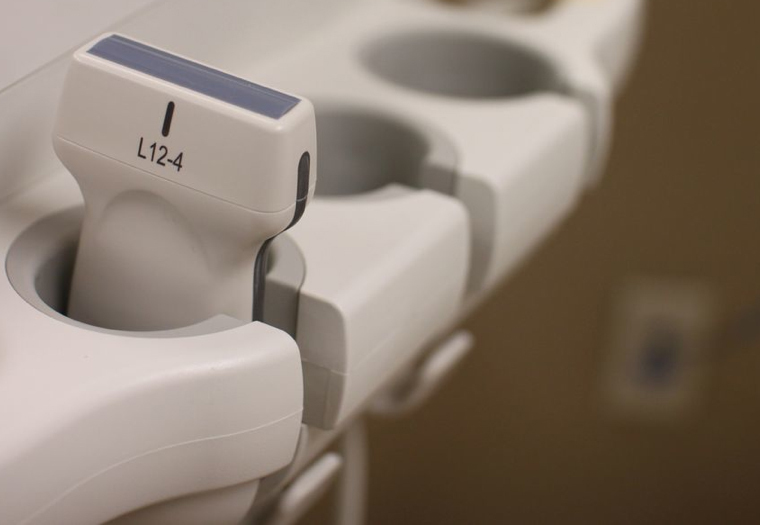 The downside to that is that you are using two providers for a procedure you could be doing with just one person, which wastes time and resources. How do you orient the probe? Which vein should you choose? As far as which vein to choose, don’t be picky. I look everywhere. 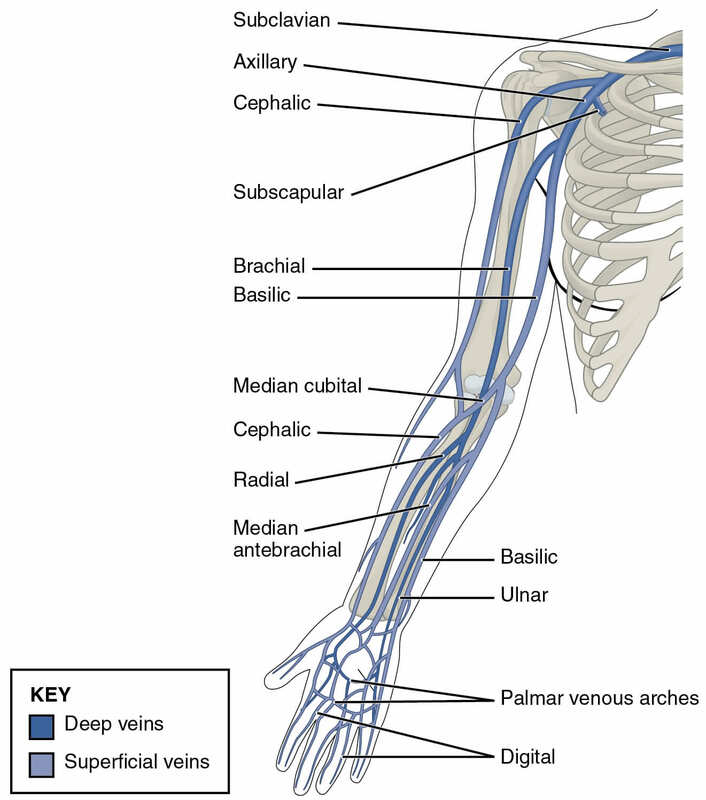 I start around mid-forearm, up through the antecubital fossa and all the way up to around the mid upper arm, looking for the most superficial, most straight, plumpest and not-close-to-any-other-structure vein. In my experience, there is no such thing as the easiest place to get an USGIV, because everybody’s anatomy is different. Is the patient extra fluffy? I’ll probably be able to find a vein easily in the forearm that is otherwise non-palpable. Is the patient a twig and suffers from IV drug abuse? I’ll probably have to go for an upper arm vein. Beggers can’t be choosers, and I really need that IV. I did a fairly extensive lit review, and compiled the data from all the USGIV studies I could find. Below you’ll see a chart where the studies out there found their access. There is one caveat to this data, however, and it’s that some of these studies only looked at certain areas of the arm, and did not have free range to attempt cannulation wherever they thought would be best. There are a few things that help predict if you’ll be successful and those include the depth and width of the vein, the type of catheter you use and the experience of the operator. Type of catheter you should use. 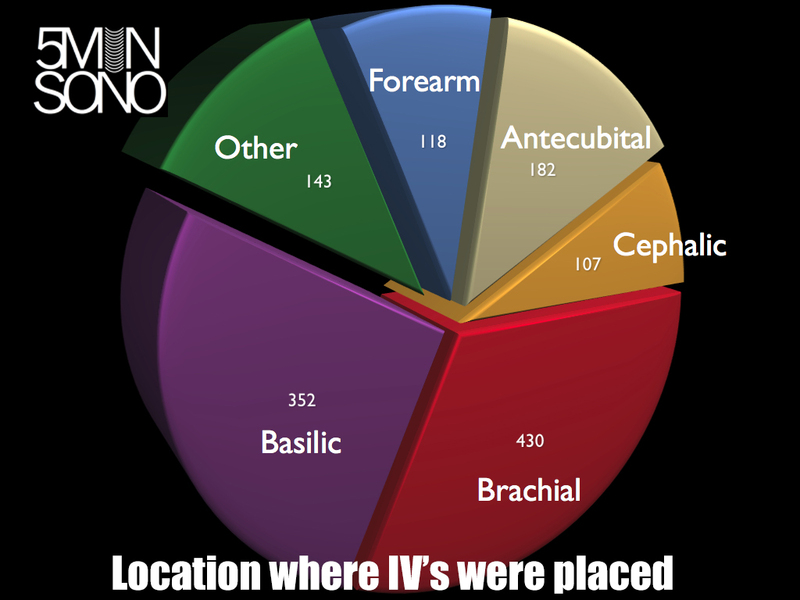 When looking at the data above, you need to keep in mind a couple of things: First, many of the studies didn’t really standardize how long after they placed the IV that they recorded the infiltration. The studies may have looked at the rate of infiltration over 2 hours, or in one case, 48 hours 8 (obviously, this one was one with the highest infiltration rate). Also, some of these studies used the standard 1-2 inch catheter, and some used longer catheters, so it is a fairly heterogeneous group. Some of the studies use seldinger technique and have really good success rates. Some of the them used arterial lines as peripheral IV’s, some used guidewire kits that were made for peripheral IV’s, and one even used a 14 gauge central line kit for peripheral access.9-12 Personally, I think the 2.5 inch 18 gauge catheters work fine, but those other techniques are definitely options you can consider. The next post will wrap up this mini-series and talk about the actual USGIV procedure itself.